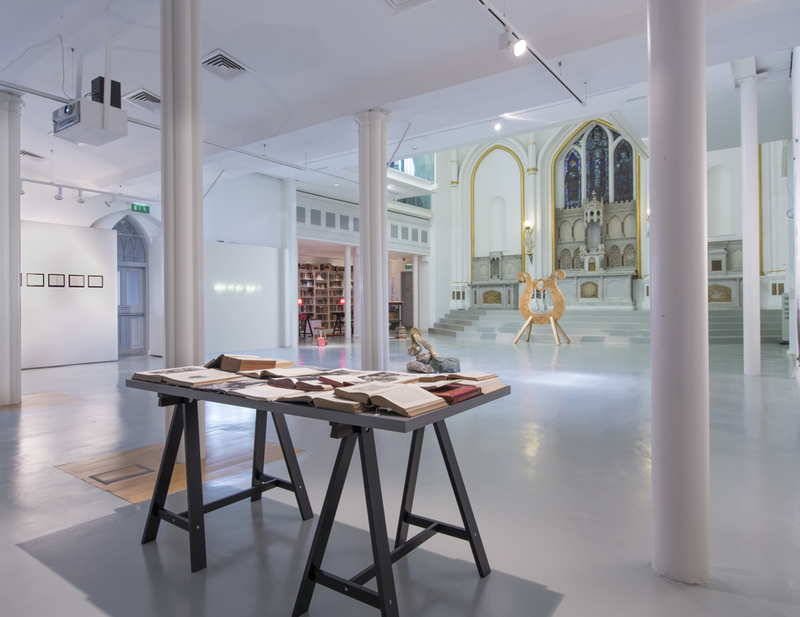 After its initial introduction The LFTT Library returned to The Highlanes Gallery, Drogheda in May 2013 for its first commissioned exhibition ‘Things in Translation: The Legs Foundation’ in supported by the Drogheda arts Festival, Louth County Council and Highlanes Gallery. 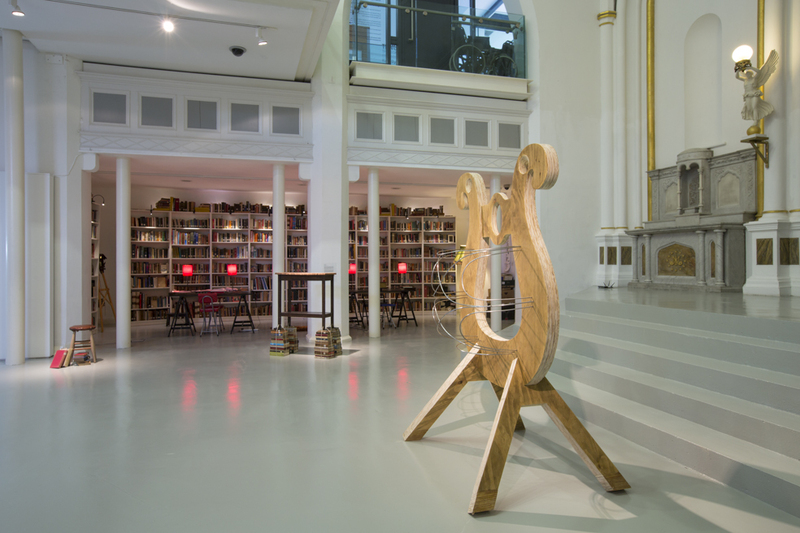 The exhibition was co-curated by Aoife Ruane, director of Highlanes Gallery and Helen Horgan of The LFTT Library. Eight artists were invited to make new work in response to items from the Library collection; Vivienne Byrne, Aoife Desmond, Danyel Ferrari, Jessica Foley, Helen Horgan, Aine Ivers, Susan MacWilliam and Meadhbh O’Connor. The show remained in the gallery from May 5th until August 27th 2013. 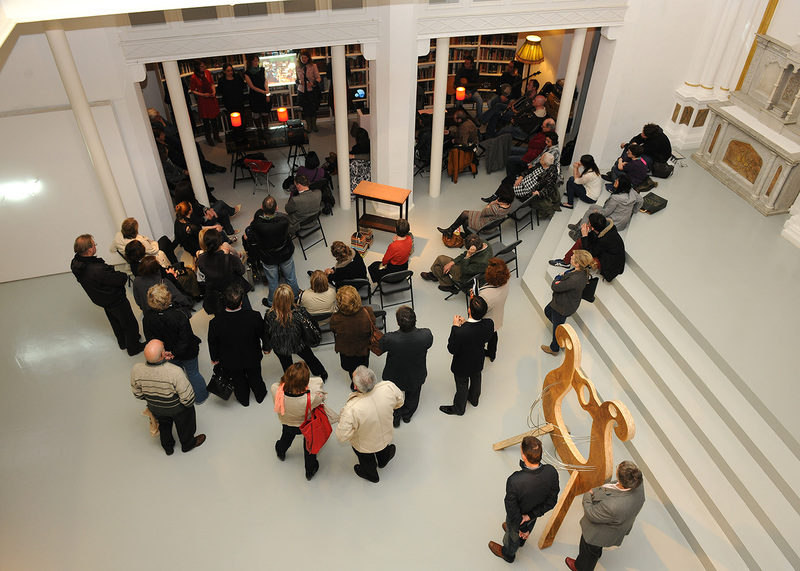 During this time a programme of lectures, events and performances took place in the gallery. Local ballad band Rapscallion played on the opening night. See related posts for more. HOW ARE 21ST CENTURY ARTISTS INSPIRED? Contemporary art is rapidly growing in area of practice, research, and publication, with artists using a wide variety of materials and means. Things in Translation is a specially commissioned exhibition for the Drogheda Arts Festival where eight artists have been invited to produce new work using a former Franciscan library/archive, made mobile, as raw material or source. The exhibition looks at the notion of translation through the materiality of the archive as both a conceptual and physical creative resource. Vivienne Byrne, Aoife Desmond, Danyel Ferrari, Jessica Foley, Helen Horgan, Aine Ivers, Susan MacWilliam and Meadhbh O’Connor have explored the Library to produce work using drawing, photography, sculpture, audio and video installation, and performance, and revel how creative uses of an archive can make visible the act of translation in process. 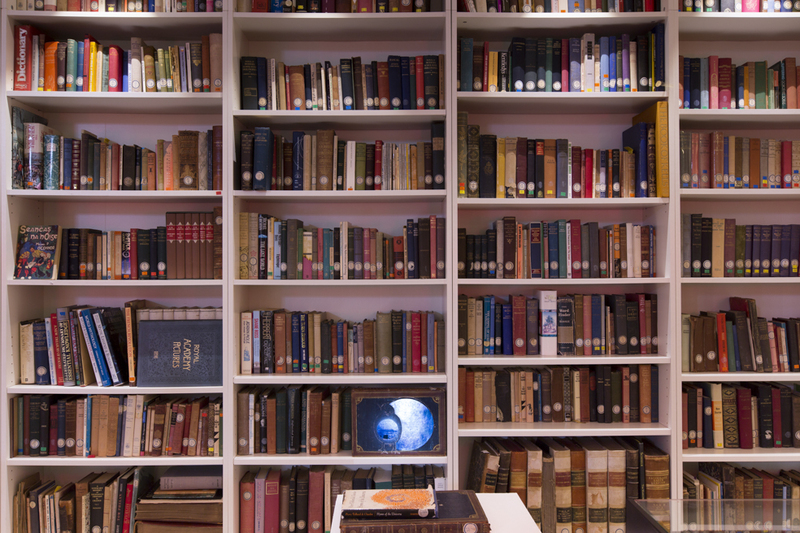 The LFTT Library is an interdisciplinary mobile archival project of The LFTT – The Legs Foundation for the Translation of Things and evolved from an artists’ residency at Multyfarnham Franciscan Friary (2009). The friary and library were undergoing massive structural changes and the artist Helen Horgan and Danyel Ferrari were offered the 4,000 volume collection, which ranges in the subject matter from theology to religious and folk mysticism, poetry, literature, Irish folklore, the humanities, popular knowledge and the speculative sciences, as a gift.